Q/A – Where Should I Study? I’ve been having trouble getting a good study routine since I got to college. I share a dorm room with a person that’s unpredictable. I try to set up study times but they end up inviting friends over and making noise interrupting it. If it’s not that then someone else ends up bothering me. I don’t want to be rude but I can’t find a time or place to do it. I tried the study rooms but they’re in the dorms and people walking by come in and bother me. I just can’t get alone and in silence consistently. Naturally, every college is different but here are a few ideas that might help you find a place to study in silence. The library isn’t the perfect place to study but it generally works better than the study rooms. 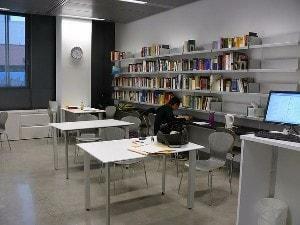 The study rooms are usually just rooms that students hang out in. Most of them don’t have limits on people talking. Most people don’t even bat an eye bothering someone in the study room. The library is a little different. Most people are taught to shut up while they’re in the library. If your school library has a good enforcement on sound then take advantage of it. Even when people that want to talk to you see you, they’ll be much less likely to interrupt you. Sometimes they still will but it may reduce the frequency a little. Assuming most of the people interrupting you are friends on campus then the solution may be to get off campus to study. You might try going to a local park or something. Suddenly you’ll be surrounded by people that don’t even know you. That, ideally, will decrease your interruptions dramatically. It is a pain to get off campus to study but it is one of the easiest ways to get away from the interruptions. College campuses are not well designed for students motivated to study. Yea… I know they have rooms specially made for studying but I’ve never had much luck getting people to leave me alone in them. Almost anywhere off campus and quiet would be better. If people are interrupting you on your phone or computer then shut them off while you’re studying. Turning off your phone for 15 minutes of studying will not bite you with some kind of emergency. Unless you happen to be a doctor with lives on the line, shut that phone off completely. Even hearing the buzzing from a text message can interrupt your focus. You can’t blame other people for texting you when you leave your phone on. You can’t blame other people for thinking you respond while you’re studying if you respond while you’re studying. In college, one of the best times to study is early in the morning when everyone else is asleep. This can dramatically reduce the number of people that can interrupt you. While they’re still pressing the snooze button you can be finishing up a study session. Of course, you may also be able to study while they’re sleeping by staying up extra late. That’s a little more difficult in college but it can work out if you plan right. If you can’t find the perfect place to study then you might be able to find the best time to study and avoid distractions. If you keep on looking and experimenting then you will find a good place to study consistently. Someday you can expect that perfect spot to stop working but if you can get a few good months of studying out of a place then take advantage of it. This reminds me of an article I wrote about the worst time to study. It’s probably not what you might think. I like the ideas about early and late. It often does depend on what time you’re trying to study to make sure everything is quiet. That’s why I always study late at night before I go to bed. It’s never more quiet than then.